How many times have you lied to yourself? A cooler is a cooler, and the same cooler you’d carry for a week-long trip would perfectly suffice for a day at the beach. The idea itself is laughable. 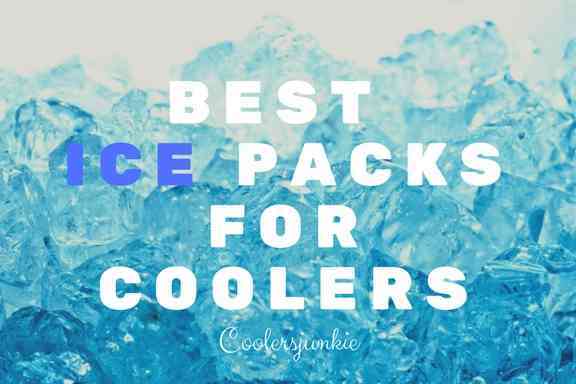 The fact is there’s no one size fit for all when it comes to ice chest – For activities that wouldn’t require lots of people and casual outings, hard coolers just wouldn’t fit in. Soft Cooler. Not just any – The Best Soft Sided Coolers! The fact is soft-sided coolers provide greater mobility and versatility. They could be employed on many occasions that hard cooler isn’t ideal for. As they are portable and versatile – you’ll find yourself looking for the service of a soft side. You see the polar bear bag is for people that want a soft bag that combines fashionable outlook plus efficiency. This cooler is leak proof, sweat proof with proven durability and its toughness is well acclaimed. 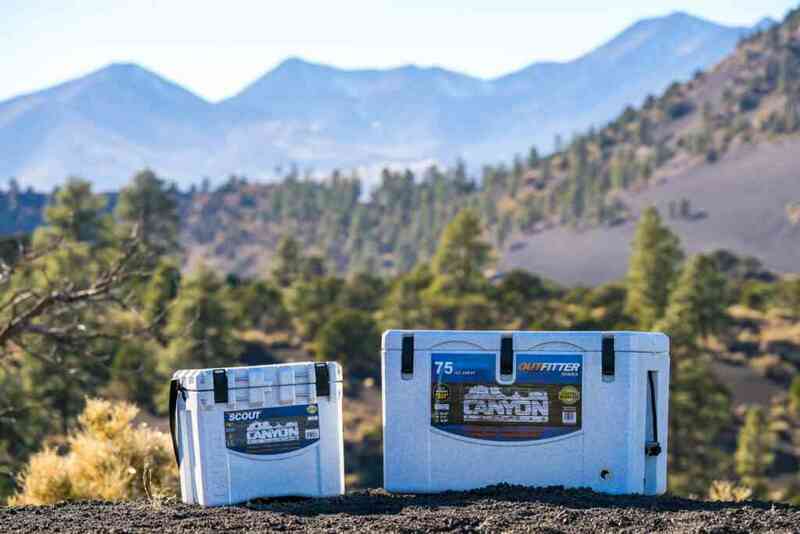 Its Ice Retention ability is superb 24/24 the polar bear 24 pack can last up to 24 hours. The exterior is made of 1000 denier nylon; the result is an exterior resistant to scratches and tears. An internal vinyl lining ensures the bag holds ice for a long while adding to its no sweat design. Coming in different sizes and colors of black, duck blind, Green, Navy, Orange, and Red – you are bound to like it when you see one. The Polar bear soft cooler is quite portable. Portable enough to be folded and stowed into a bag when it’s not in use, could comfortably fit in the back of your car, Suv, truck, etc. 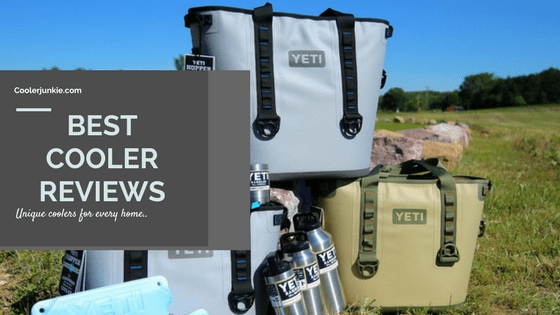 If the Yeti is too expensive to grab, don’t miss your chance at actually getting one of the best soft sided coolers that’s awesome. Leak proof; check! Made of vinyl, check! Do you believe in doppelgangers? Probably not, right? Well, you might have to reconsider that when you get acquainted with the AO coolers soft coolers which is a complete doppelganger of the AO Polar Bear Soft coolers. It has a soft pocket to keep dry items; you’ll find it essential to stow keys, wallet and other accessories you wouldn’t want to get mixed with food and drinks. Although boastful, the soft-sided cooler bag prides itself on having twice as much insulation as other soft-sided coolers. Also, the interior is built with leak-proof liners, while the exterior utilizes tough fabric to resist scratches and tears. At least if not in design, then in behavior. Because like the polar bear soft coolers; it can hold ice for up to 24 hours especially in temperatures up to 120 degrees. The AO smallest coolers can contain a minimum of 9 cans. And its biggest 48 cans with ice. You are rest assured of having an AO cooler for different events. But that isn’t all; it also meets the criteria for airline carry-on luggage. Think of a scene where you’d sit down close to the beach, the hot sand dancing under your feet while you sit on a chair to savor your drink. Not only is the enjoying your drinks sitting on a chair, but it’s where you drinks are stowed too. That’s exactly how it feels to use the backpack cooler chair. Although you wouldn’t drive maximum comfort from the chair, you’d be able to rest, but don’t throw all your weight on it and expect it to last for long. Take heed! Besides the fact that the backpack cooler chair sounds like a superhero kit, it is also an astonishing cooler, soft-sided of course and great design too. While it looks pretty fashionable, portability is not its best attributes. 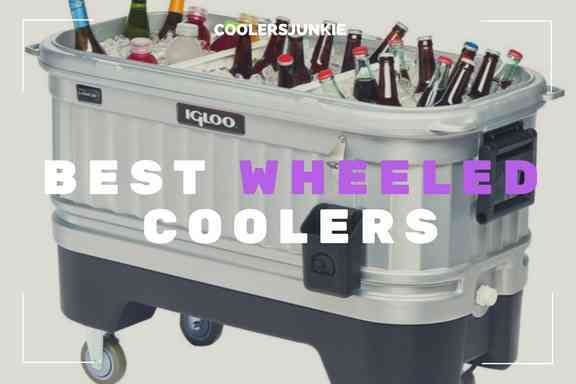 Maybe the only uncool feature of this cool cooler is quality. It weighs at 4.9Ibs when empty, featuring straps for lugging and can contain full 24 pack worth of drinks. Also possess a multipurpose armrest, extra pocket for accessories and a zippered main compartment. For transport, it comes with four non-slip pads and a single handle on the product. It would have been a perfect product, but the complaint of the overall quality is the only concern. 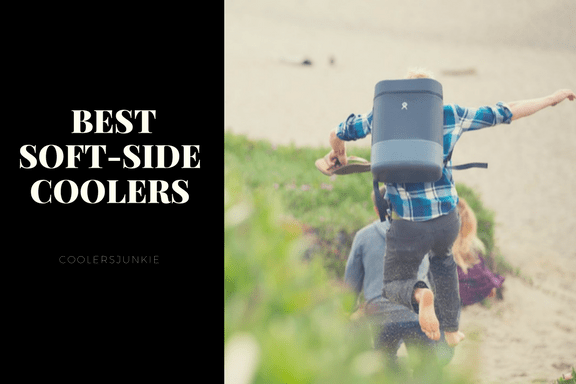 Asides that, the soft-sided backpack cooler chair is inexpensive – something most people on a budget can afford. This soft cooler is designed to be used with ice packs and has an adjustable strap. With zippered pockets and mesh pockets on the front and side respectively, Providing extra storage for your belongings. Its portability is accompanied by a PEVA soft liner that makes room for flexibility, and holds up to 16 cans. You’ll be happy to know – the internal lining is resistant to odour and mildew. This also makes washing the cooler a breeze, with a single wash all the stains will come off. Another great thing is the heat-welded seams, not only are the seams appropriately stitched but resist leaks too. In all, it comes with an adjustable shoulder strap padded with materials to provide maximum comfort even after hours of hanging it on the shoulders. As the manufacturer of the hopper would say “ the hopper is not just any regular soft bag” Thanks to the hard shell construction, this statement stands right, you’d be able to use this bag for years to come. Regarding transport, it has a shoulder strap which can be hung on the shoulder, and two padded handles on the side come handy when the bag is filled. Zippers are usually cumbersome when trying to put away or take out a drink. Well, the zippers here provides easy access to your items. 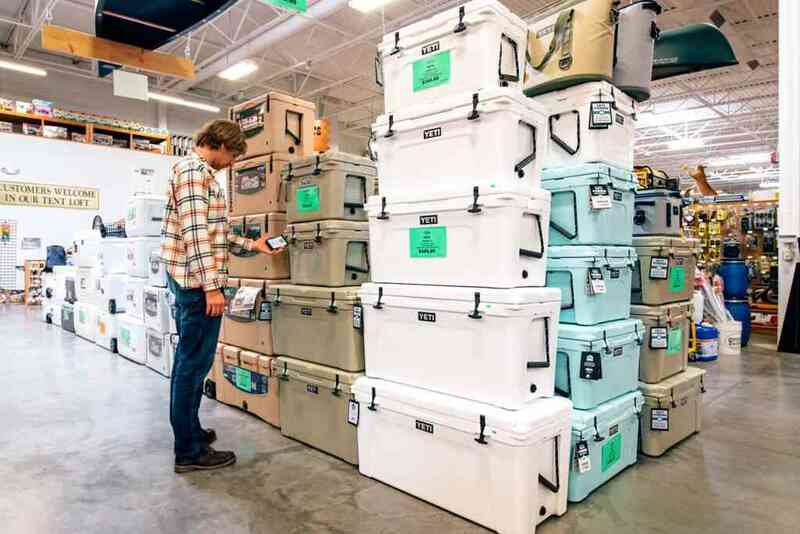 Well if you have enough money and willing to spend to buy the luxury of a soft-sided cooler, then the Yeti Hooper is your stuff. It has excellent insulation, durable and portable. What more can you ask for a soft-side. It is also easy to use. With no outer pockets and a lone top zipper, It is the best soft sided cooler for summer. This cooler pack is 42 can soft sided and as the name implies it has wheels. 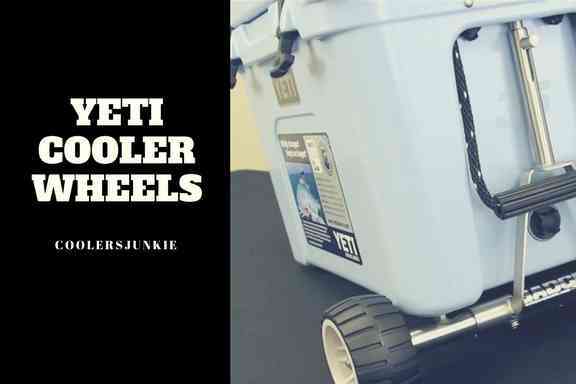 If you haven’t read of our Yeti wheeled cooler reviews, check it out now. Generally, your soft cooler won’t carry many supplies like a hard cooler. But there are times when you’d need something light that could pack enough for a group of friends on a day out. That’s when the Coleman 42 takes precedence. As I’ve pointed out earlier, it features wheels and a telescoping handle, and side handles for easy transport. It also has a removable hard liner so that when it gets dirty, you can quickly wash it and return it in one piece. Keep in mind; the Coleman comes with zippered pockets; on the inside and lid bungees to tie down your extra gears. That said, it has two mesh pockets on the side. Overall, if you are looking for a large soft cooler with great ice retaining performance, look no further. Igloo is one of the biggest cooler brands. They’ve been in the cooler market before most of the big players you see today. If you’d use pedigree – igloo is a name that would be reckoned with everywhere. And still, here’s another excellent product. Interior is made of an antimicrobial liner to prevent stain, odor, mildew and scratch. Made of thick PEVA lining the exterior doesn’t sweat. As the name implies, the marine cooler is made especially for marine purposes. The white color helps reflect the hot sun rays while the ice life increases. Worried the exterior would corrode from salt water, then don’t, the fabric is resistant to corrosion. 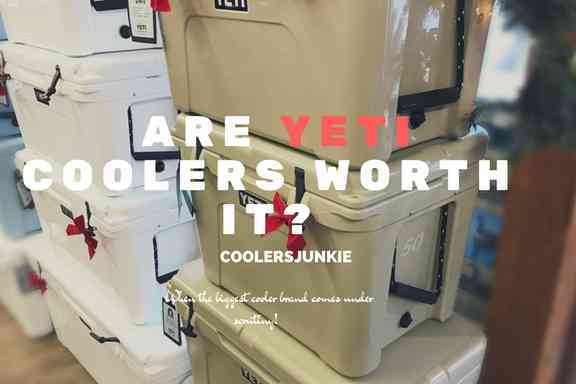 You’ll be happy to know that the cooler comes in different sizes ranging from the 24 can, 36 can console cooler, 36 can snap down cooler, 36 can square cooler, cooler backpack, HLC 24 coolers bag. Overall, the ice performance is decent – while the company boast of a 48 hours ice retention, many users reported a day of ice. For those who merely want a soft-sided cooler at a great price, without the fancy clutter, this is your thing. 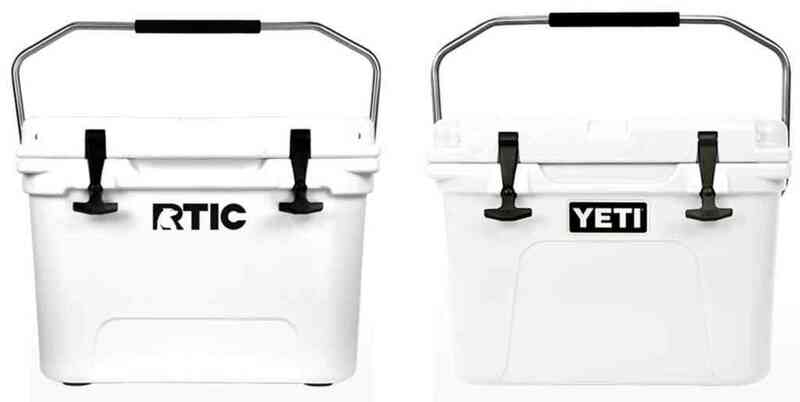 The Rtic soft pack is a first-rate cooler with cheap price. If you don’t have the luxury to splash on the Yeti hopper, the soft pack is the best substitute. Aesthetically pleasing, the soft side is made of durable and laminated fabric, it doesn’t sweat, and the welded seams doesn’t let water through. Utilizing up to 2” foam insulation, the soft pack offers up to 5 days of ice. Soft padded handles and adjustable shoulder strap provide for easy carrying. Additionally, the sizes range from Rtic 20, Rtic 30, Rtic 40 pack. As it is compact, you can easily stow away the cooler at the back of your golf cart, car, truck, Suv etc. fitted with exterior pockets, items you need to keep dry can find a haven from the chilled and soggy interior. You’ll want the NFL 16 can soft side if you like to enjoy chilled drinks from it for half a day. This product is one of the cheapest on the list, but the features it possesses are above average. 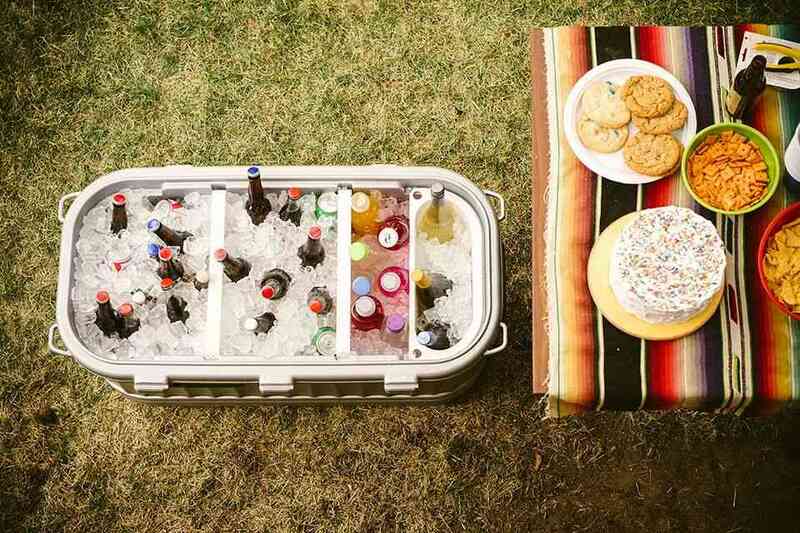 Remember this cooler doesn’t have as much insulation, so to enjoy cold drinks, ice packs are needed. Adjustable straps allow for easy carrying. Keep in mind that some users complained of the zippers getting stuck. With that out of the way, the NFL is a good lunch bag and provides great value for money. This is without a doubt for you if you want an inexpensive cooler with enough space for more than a dozen drinks. Pelican coolers are known for their rugged build, insulation and ice retaining performance. 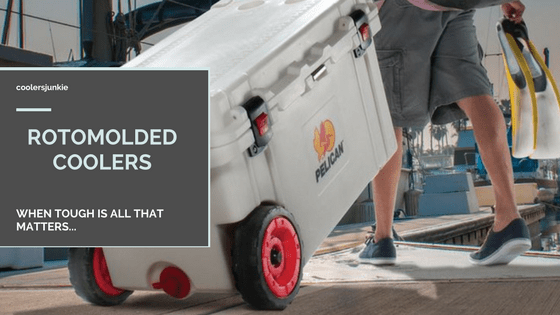 The Elite soft cooler is another offering from Pelican that boasts of more ice performance and lightweight than most soft coolers on the market. With a leakproof zipper and my favorite feature – the dual lock buckle system to keep the top extra tight, all the cold remains while the hot is locked out. What you get is a dramatic increase in ice performance. The exterior fabric is made of double coated Tpu, while the interior is made of a hardliner fabric approved by the FDA as microbial. Additionally, it comes with tie downs and a bottle opener. Finally, this is perhaps the best soft side cooler with hard liner on the market. Yes, take my word. 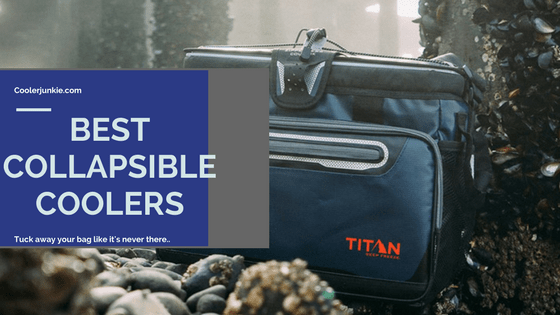 While the biggest advantage of a soft cooler over a hard cooler is portability and ease of transportation, there is more than meets the eye when it comes to choosing the right cooler bag. Soft coolers come with different modes of transport. It’s either the bag has handles, shoulder straps, wheels or backpack setup. The handles come very handily over short distances especially when the bag is filled. Shoulder straps can be slung, but it might cause strain on the shoulders when the bag is heavy. Wheeled soft coolers like the Coleman provides a convenient way to transport your supplies especially when you are planning to pack enough for a group. And there’s the backpack cooler, the mode of carrying ensures weight is distributed across the shoulders, unlike like the single shoulder straps, backpacks utilize two straps to spread the load all over your shoulders. Hence, you’d be able to walk considerable distances without backaches. Depending on the supplies you need to pack, the size of the bag is as essential as the purpose of use. Going against contrary believe, people think a cooler bag is always smaller and won’t hold as many items than hard sided coolers. While short trips wouldn’t require you to pack much drinks and food, an average 16 can would do. However, cooler bags like the Coleman 42 can pack up to 42 cans which is close to what an average hard cooler holds. Versatility is the most common reason why people opt for soft sides. A soft cooler can be collapsed into a compact size when not in use. You could even stash in a bag, and nobody will notice. Also, the small size is an important factor that helps you carry the bag everywhere – at the back of your car, SUV, truck or Golf cart. The same cannot be said about hard coolers, cause they are quite bulky, storing hard sides can take much space, thus, limiting the possibility carrying it along with you on short trips. Unlike hard coolers, soft sides need frequent maintenance and careful use. You don’t want your bag to tear after a few months of use or get none of the oozing smell that can make you throw out. So what can you do to extend the life of your cooler while keeping in the best possible condition? Turn the bag inside out, with a spray or hose, wash the lining. Adding a detergent while you scrub gently will rid the hard stains and mildew. Use anti-bacterial wipe to clean the interior nooks. The exterior layer doesn’t need as much rigorous cleaning like the interior. Use a swipe and detergent to clean the exterior. Let the bag dry out in the sun.